FALKVILLE, AL – August 12, 2009 — Inc. magazine ranked Valley Rubber, LLC on its annual ranking of the 5,000 fastest-growing private companies in the country. This is the second consecutive year for Valley Rubber to be honored. The list is the most comprehensive look at the most important segment of the economy – America’s independent-minded entrepreneurs. The 2009 Inc. 5000, serves as a unique report card on the U.S. economy. Despite the ongoing recession, aggregate revenue among the companies on the list actually increased to $214 billion, up $29 billion from last year, with a median three-year growth rate of 126 percent. The Inc. 5000 are responsible for creating more than 1 million jobs since their founding, making the list perhaps the best example of the impact private, fast-growing companies can have on the economy. The Inc. 5000 is ranked according to percentage revenue growth from 2005 through 2008. To qualify, companies must have been founded and generating revenue by the first week of 2005, and therefore able to show four full calendar years of sales. Additionally, they have to be U.S.-based, privately held, for profit, and independent — not subsidiaries or divisions of other companies — as of December 31, 2008. Revenue in 2005 must have been at least $200,000, and revenue in 2008 must have been at least $2 million. 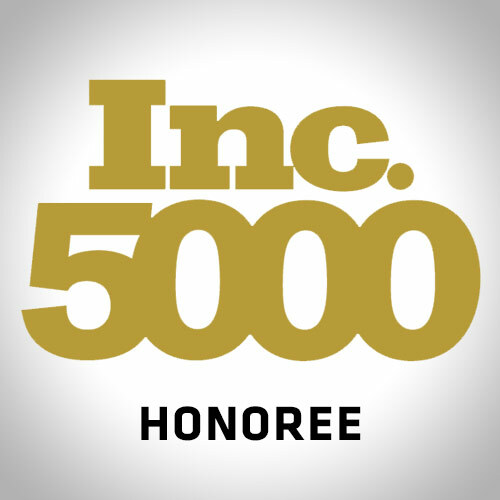 Complete results of the Inc. 5000, including company profiles and a list of the fastest-growing companies that can be sorted by industry and region can be found at www.inc5000.com.